This article originally appeared in the February 2014 issue of The Spectrum Monitor Magazine. 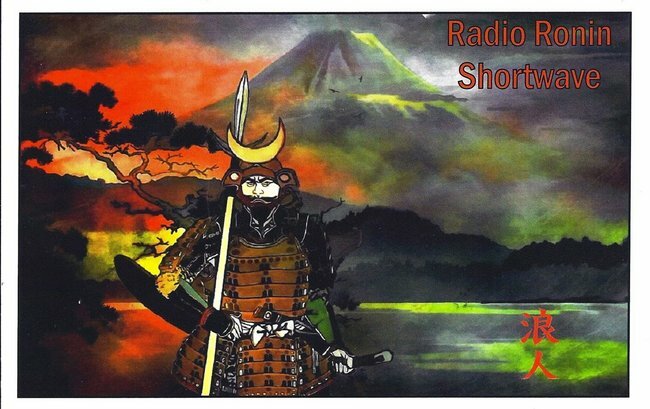 Even as many legacy international broadcasters are abandoning the shortwave bands, shortwave remains active and vibrant in another quadrant: namely, on shortwave pirate radio. Over the past few years, I’ve found that one of my favorite listening activities has become searching for unique pirate radio stations, and readers of my blog appear to have followed suit. Among the most popular queries made by readers is, “How can I find and hear pirate radio stations?” To help answer this question, I’m writing this primer. Who are pirate radio stations? Many are confused by the term “pirate radio,” otherwise known as “free radio.” Either term is sufficient, and some stations prefer one designation or the other. For consistency’s sake, I will use the term “pirate radio” in this article. As Yoder goes on to explain in his introduction of the 2012 Pirate Radio Annual, pirates are often confused with radio bootleggers (who conduct unlicensed two-way conversations), clandestine stations (usually political stations), and jammers (who intentionally try to block broadcasts). While debunking myths about pirates, I can say that in my years of pirate radio listening I’ve never heard a pirate intentionally jam a legal broadcaster. Pirates tend to occupy swatches of the shortwave spectrum that are relatively quiet, avoid intentionally broadcasting on top of one another, and typically operate at fairly low power. I believe this is why authorities like the Federal Communications Commission (FCC) place shortwave pirates comparatively lower on their enforcement priority list. And while pirate radio stations can be found across the radio spectrum, especially on AM and FM in urban areas, in this primer I’ll be focusing on those that inhabit the shortwaves. Pirates broadcast a wide variety of content, but are usually motivated by sharing their message–or favorite music–on the air. Some pirates simply key down their mike and begin talking, sharing their political or social views; others offer near-professional music productions, complete with listener feedback, and often acknowledge listener reports with QSLs (radio postcards). As a self-proclaimed “content DXer,” what interests me in pirate radio is that the listener never knows what to expect, but you can guarantee that the content will be different from that of the major broadcasters. With that said (and for reasons I don’t fully understand) depending on where you live in the world, you will either find it very easy to locate pirates…or extremely difficult. If you live in North America–particularly on the east coast–or in Europe, you’re in luck: these are the hottest geographic locations for shortwave pirate radio activity. If you live in other parts of the world, pirate hunting can pose serious DX challenges. Yoder actually addresses this apparent restriction, to some degree, in the 2013 Pirate Radio Annual, which has only just been released. Before we talk about where to hunt pirates, however, we need to talk about the necessary equipment–i.e., your radio and antenna. Unlike trying to locate China Radio International, Radio Australia, or the BBC World Service, hunting pirates requires a decent-quality radio and antenna. Keep in mind that pirates are relatively low-power broadcasters. While the magic of shortwave radio can transport a small signal vast distances, to hear pirates regularly and clearly, some precision is required. Listening to Channel Z in a parking lot. If you live in a geographic hotbed of pirate activity (again, eastern/central North America and Europe) you might find a portable radio ample for hearing a number of pirates. Indeed, this past November, I listened to the pirate Channel Z while sitting in my truck; I was only using a Tecsun PL-660 with the antenna extended out of my opened driver’s-side window. Though Channel Z was broadcasting in AM, as many do, it’s best to hunt pirates with an SSB-capable portable. Why? Unlike major broadcasters, many pirates don’t stick to AM as a preferred mode. Indeed, since pirates are operating at lower power, they get much more bang-for-the-watt out of SSB. To track pirates, you’ll need a radio with both AM and SSB modes. It will also help to have some sort of adjustable bandwidth filter (wide/narrow). I’ve hunted pirates with a range of such radios, among them the Sony ICF-SW7600GR, the Grundig G3, the Grundig G5, the Tecsun PL-600 and PL-660, and even the new Tecsun PL-880. It’s much better, of course, if you have a table-top receiver, software-defined radio, or ham radio transceiver with a general coverage receiver hooked up to a resonant outdoor antenna–especially if you live outside Europe and North America. I’ve had great results in the past with an old Icom IC-735 and a 40-meter dipole antenna. The important thing here is that you invest in a receiver with a respectable degree of sensitivity and selectivity. You might need that sensitivity and an outdoor antenna to pull these relatively low-powered signals from the ether. Back in the 1980s, before the Internet and its online bulletin boards, I thought finding pirates was truly a hunt–random and altogether unpredictable. Now I know that finding pirates is reasonably achievable; at least, it is possible to know roughly where, and generally when, to find them. Fortunately for the beginning pirate-hunter, there are now online message boards, free radio logs, and even publications (like Yoder’s excellent treatise on the subject) to help guide your tuning (see resource links below). Pirate radio operators usually have day jobs–like most of us–thus only transmit while home from work. While you can hear some on weekdays, your best bet is Friday, Saturday and Sunday nights, local time. So, for example, if you’re listening for North American pirates from Europe, you’ll need to plan accordingly. Pirates are always active during holidays, too, most especially on Halloween (31st of October), which seems to be pirates’ favorite holiday. I’ve noticed increased pirate radio activity during the winter months, as well. This is likely due to the early sunsets and cold winter nights of the northern hemisphere that tend to keep people indoors, which in turn encourages pirates to hit the air. Moreover, summer conditions in the North American “43 meter” band are often much noisier, thus pirates know they’ll be fighting static crashes to be heard during the summer months. In the quieter winter months, stations seem to pop out of the ether. The bulk of the pirate radio broadcasters I log transmit just below the 40-meter amateur radio band: anywhere from 6,850 kHz to 6,970 kHz and typically on a frequency spaced at 5 kHz. The most popular frequency is arguably 6,925 kHz, but I often log pirates on 6,935 and 6,950 kHz. Euro pirates typically broadcast in the 48 meter band (6,200 – 6,450 kHz), but the HF Underground notes that you will also hear Euro pirates on the 75 meter band between 3,900-4,000 kHz, on the 19 meter band (15,000-15,100 kHz and 15,700-15,900 kHz), and even on the 13 meter band (21,000-25,000 kHz). 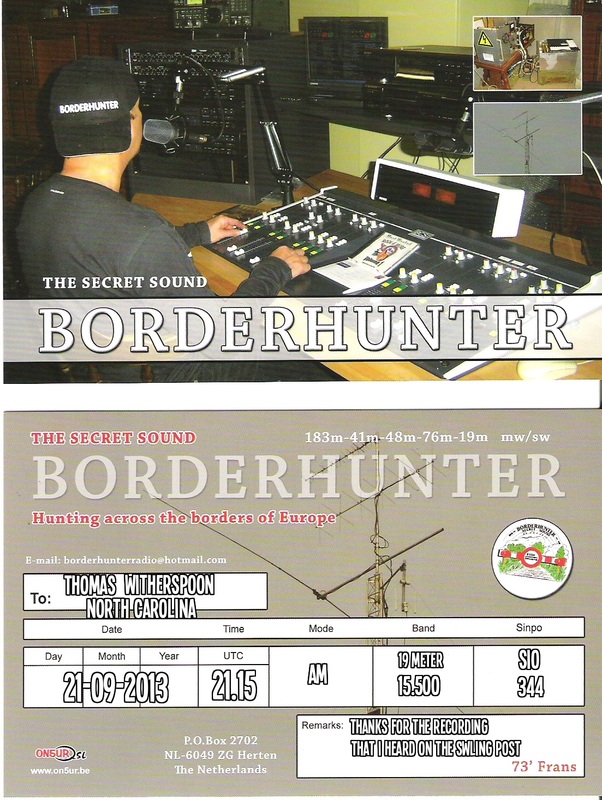 My most recent logging of a Euro pirate from North America was Radio Borderhunter on 15,500 kHz; his signal was quite amazing. If you live outside of North America and Europe, that doesn’t mean there aren’t pirate radio stations to be found. Ask your local radio club or search the Internet for local/regional pirate stations. Additionally, you can always tune a remote receiver, via the Internet on the Global Tuners website, or via the University of Twente’s SDR in the Netherlands. We’ve now covered the who, what, where, when, and how of pirate hunting–but what about why? Whether you’re a QSL collector, a “content” DXer, or the casual SWLer, I find there’s something in pirate radio listening for everyone. 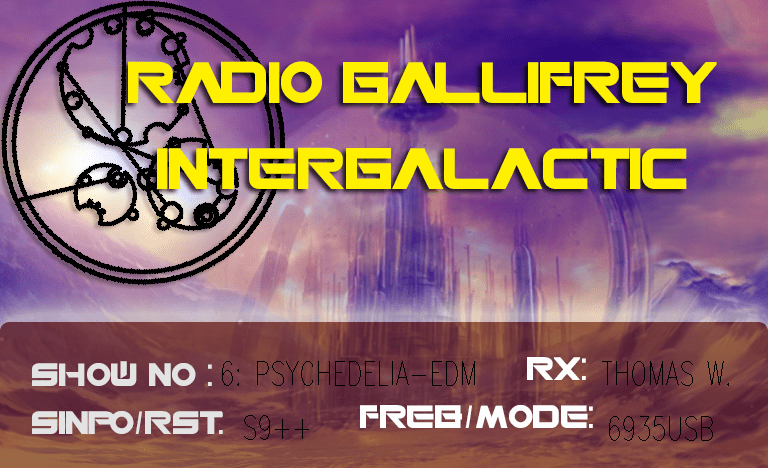 Speaking for myself, I’m passionate about pirate radio listening because it combines my listening/technical skills, my appetite for highly unique content, and for building a collection of quirky QSL cards. Compared to big-gun broadcasters, pirates are much more elusive game as very few announce their broadcasts in advance, and there’s no telling where a pirate’s transmitter is located: it could be in their home, on a boat, or a portable one dropped in a remote location and later retrieved. Chasing pirates has also increased my technical know-how. 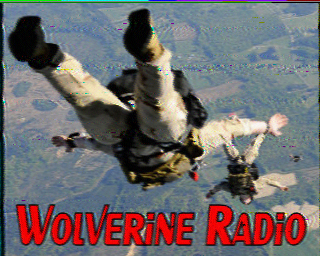 For example, though I’m a ham radio operator, I had never even attempted to decode the SSTV (slow-scan TV) mode until prompted to do so by Wolverine Radio: at the end (and sometimes in the middle) of their broadcasts, Wolverine is known to send electronic QSL cards via SSTV. I’ve also been encouraged by pirates to hone my weak-signal DXing using exalted carrier reception (ECR)–zero-beating an AM signal in SSB–in an attempt to hear weak AM pirate stations. It’s a simple technique, and although it takes some practice, will work on most any radio with a stable BFO (beat frequency oscillator). 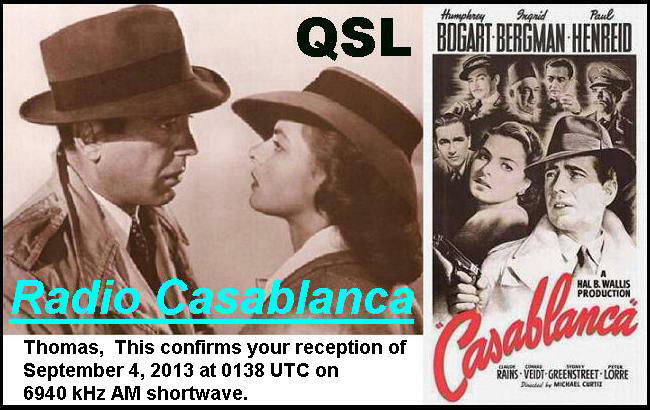 And did I mention the cool QSL cards? Pirate cards are among the most unusual of QSL cards, that often incorporate obscure or vintage imagery–humor, horror, or other graphic oddity–or cast the pirate in a unique character representation. They can be highly entertaining or thought-provoking, and thus are, themselves, a unique art form. Don’t believe me? Do a little pirate radio hunting yourself. Like me, you might just get hooked! This little book by Andrew Yoder is the equivalent of the WRTH (World Radio TV Handbook) of the pirate radio world. I keep a copy handy as it helps me identify stations and better understand their format. Additionally, you’ll find contact information for QSL requests and mail-drop addresses as well. Each issue also contains a CD of sound clips from various pirates, several articles about the state of pirate radio, and other relevant info. An excellent and active pirate radio forum hosted by Chris Smolinski. Loggings are in real time and there are very few–if any–off-topic posts. Ragnar Daneskjold hosts an occasional podcast serving the shortwave pirate community; it includes pirate radio news, off-air recordings, and more. 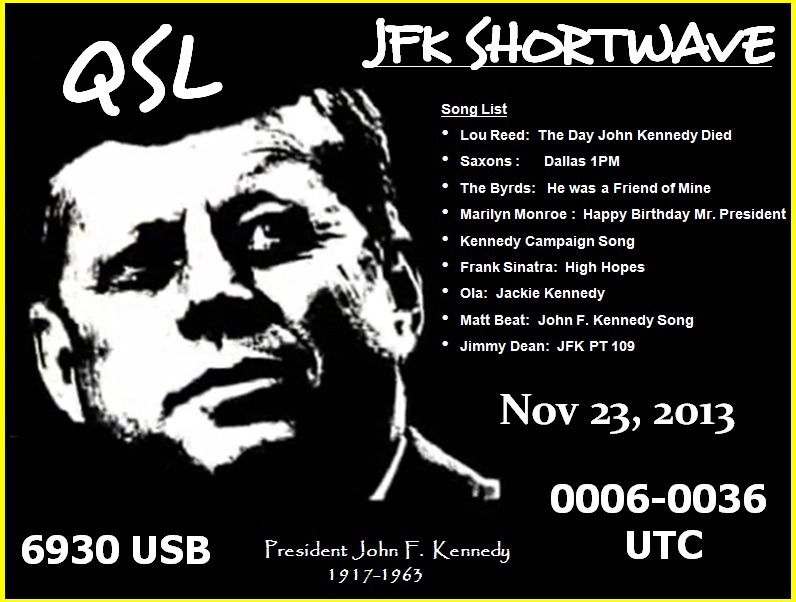 Pirate radio guru Andrew Yoder started his own pirate blog last year, and has already began populating it with regular updates, QSLs, and recordings. Note: Even though it is illegal to broadcast on the shortwave bands without a license, and those who do so are subject to hefty fines, it is not illegal to listen or to send and receive QSL cards from such operators. This entry was posted in Articles, How To, News, Pirate Radio, Radios, Recordings, Shortwave Radio, What's On Shortwave and tagged Andrew Yoder, Europpirates, How To Find Pirate Radio, How To Pirate Radio, How To Tune In Pirate Radio Broadcasts on Shortwave, How to Tune Pirates, Pirate Radio, Pirate Radio Annual, Pirate Radio Frequencies, Pirate Radio Primer, Pirate Radio QSL, Pirate Radio Recordings, Pirates, Recordings, Shortwave Pirate Radio, Shortwave Pirate Radio Stations, Where to find pirate radio stations on March 3, 2014 by Thomas. Its fun to transmit only on special occasions where the thought police are in bed or on a holiday. Best listen in NA during federal holidays. Is it possible to pick up pirate stations with vintage tube radios with SW such as the Zenith Transoceanic? Great read; I was very much involved with “Free Radio” back in the 1970s; been away from Short Wave for a long time, today brought the Tecsun PL-600, great to hear Free Radio is still going strong. back in 1975 My mates and I ran “Radio Solent City” with world wide feed back. Shortwave is cheep to broadcast on & much more fun then the Internet. You know this was just a great article. Having made a radio waver-powered crystal set as a scout, and being a kid who loved searching the hiss, I actually only just got going on shortwave (and then ham) later in life for some weird reason. I love it now, rolling the old mechanical band spread gears on a Hallicrafters Sky Champion on a long wire, or just playing with portables I find. Weird though, that I used CB quite extensively but hadn’t tuned into shortwave all those years, just medium wave broadcast. Soon I will be, “In my day, the FM was just pure, raw, unadulterated analog”… reagrdless of what happens with FM, regarding AM – I just hope there’s always something analog on shortwave *and* broadcast medium wave where I live. New to shortwave radio listening and I recently bought a pl380. Is it possible to listen to pirate radio stations with one? Depending on where you live, yes it is possible. However, you’ll be limited to pirates that broadcast in AM mode since the PL-380 doesn’t have SSB reception. Thanks for the reply Thomas. I live in SW PA. 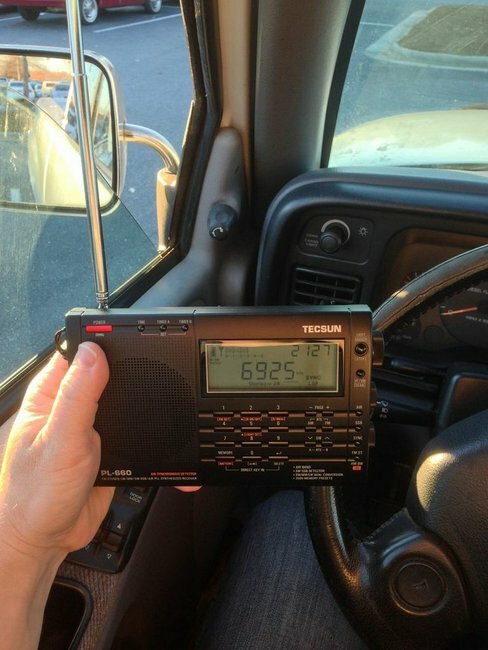 I just got the same radio for christmas and live close to York PA. Have you had any luck with your radio? Yep, I’m selling LuLu’s on eBay; 131595757554. You’re right, there are not enough transmitters available. My kit is simple and cheap. 6395KHz most weekends in Europe. 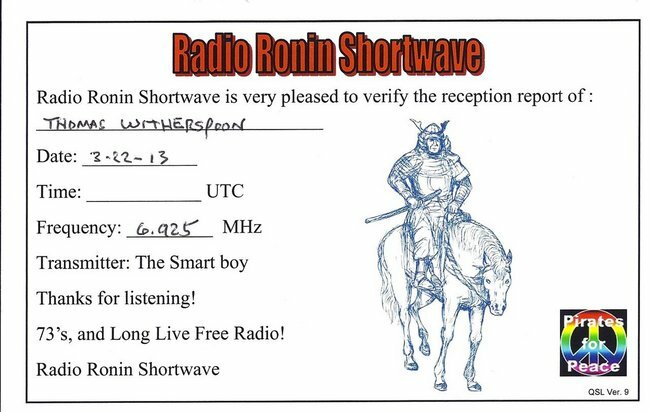 I did shortwave a little bit in japan. Mostly AM MW though. Broadcast equipment is much easier to get for MW and much cheaper too. There needs to be more easily available shortwave AM transmitters and supplies for it. I don’t wanna use a ham radio modified for it, it’s a waste of good two-way and they aren’t made to do continuous transmission. 13 hours ago at approximately 1:30 UTC, I picked up some sort of pirate radio station on 6285 khz, does anyone know what I heard? I am in the northeastern U.S and the signal was about a 2 out of 10 in strength. I’m certainly no pirate radio expert, so the best I can do is offer some basic tips on identifying the station you heard. You might also Google “pirate radio” (or “free radio”) and “6825 khz.” When I tried that, I got the names of several stations, such as Radio Focus International from the Netherlands (hence my statement about the word “focus”), Radio 42, The Ghoul, and Bogusman. In some cases you can listen to the station online, which again might remind you of something you heard — or could really nail the ID if you happen to tune in the station again on shortwave and can listen online at the same time. Finally, use Google (or the Blogroll links down the right side of this page) to find useful information on other shortwave blogs. One helpful site is Shortwave DX Blog — http://shortwavedx.blogspot.com — which tells which stations have been reported lately and where. So … no earth-shattering secrets here, but I hope that helps a little. Good luck! Oops, I just realized how old this thread is (that’s what happens when you follow a link from a newer thread). Oh well, hopefully someone can make use of my suggestions. Hi, I have been receiving a radio signal of .040 khz’s or 40 hz’s for some time at my home. I had this frtequency verified by an independent third party using calibrated equipment. I know who the people are who are broadcasting this signal and I can actually hear it from time to time as this is frequency is audible to human hearing, although it is at the very low range. How can I get these people shut down? 40 Hz is a very, very low frequency signal. I don’t know where you live, but I would start by asking them if they would stop generating the tone in person. If they didn’t respond to that, I would send a registered letter asking them the same. If that didn’t work, I would ask my local authorities to help. That is pretty annoying noise pollution. I wonder if the 40 Hz tone is a product of a commercial machine or large industrial fan?